Waverly was first called Union Town, a common name used by several other villages in Ohio. M. Downing established the community in 1829. After the Ohio & Erie Canal came through the area, residents needed to establish a post office. However, that name was already in use by another town. It was then that a resident engineer of the canal, Captain Francis Cleveland (later he would become Grover Cleveland's uncle), suggested the name Waverly, supposedly because Cleveland had been reading a series of books by Sir Walter Scott's Waverly. Whether that's true or not, the name was accepted by the people and the post office officially recognized the village in 1832. Waverly was then incorporated in January 1842. During the early planning for the Ohio & Erie Canal, it was planned that the canal would pass through Piketon, a town several miles south of Waverly and on the east side of the Scioto River. This became one of the great controversies of the era. Canal commissioners, under the influence of Robert Lucas (a resident of Pike County and speaker of the Ohio House of Representatives and a future governor), decided the canal would run down the west side of the Scioto River through the village of Waverly, instead running down the east side through the original county seat of Piketon. Coincidently, this revised route had the canal running through land owned by Robert Lucas (among others). The revised canal route on the west side helped make the young James Emmitt a wealthy man, as his town of Waverly became the economic hub of Pike County. Lucas gained even more power and money that gave him the lift up to the steps of the Ohio Statehouse. The politics of the canal set up a rivalry between the two towns that would only grow when Waverly would later petition county residents to move the county seat from Piketon to Waverly. In 1832, the Ohio & Erie Canal was opened. It was announced that the water would reach Waverly on the morning of September 6. The entire town was abuzz and preparations were made to welcome its arrival. The canal banks were crowded with residents in both directions. But the water failed to materialize at the appointed time. Unfortunately, an expansive gravel deposit inside the canal absorbed most of the water. Once the graveled area became saturated, the water flow moved on and eventually reached Waverly by noon much to the delight of cheering crowds. With the arrival of the Ohio & Erie Canal, Waverly saw a period of growth and commerce. One of Waverly's first entrepreneurs was James Emmitt, who made most of his fortune from canal activities. James Emmitt, son of George Emmitt, came to Pike County in 1816 at the age of 10 and worked for 10 years as a farm laborer, woodcutter and teamster. He saw the canal construction as an economic opportunity not to be missed. He first turned his home into a boarding house for numerous canal engineers. When the Waverly section was completed in 1832, he purchased canal boats to carry grain, built a large grain mill and whiskey distillery, and raised hogs on the grain mash left from the distilling process. Only when cholera broke out in 1852 did he respond to public outcry over the bad odor by moving the hog farm further away. 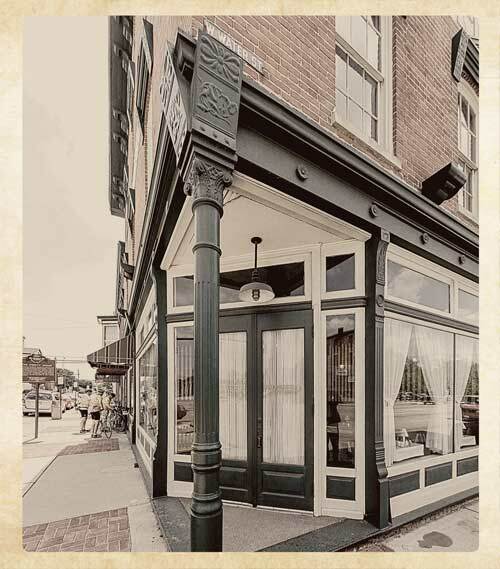 In 1861, he built a hotel and restaurant called The Emmitt House. During the 19th Century, 2 former slaves of President Thomas Jefferson named Madison and Eston Hemings, moved into Pike County. Both men claimed to be the illegitimate sons of President Thomas Jefferson and his slave, Sally Hemings. Although DNA evidence has proven Madison Hemings was not fathered by Jefferson, the evidence did prove a Jefferson male possibly fathered Eston Hemings. Both men gained their freedom after Thomas Jefferson's death on July 4, 1826. Madison Hemings helped construct several buildings in Waverly, including James Emmitts' hotel. In the 1860s, the railroads began to become the dominant mode of freight transportation. Two railroad lines, the Scioto Valley Railroad and the Ohio Southern came directly through Waverly, and it was this fact that convinced county residents to move the county seat from Piketon to Waverly. During the 20th Century, Waverly continued to grow. With a population of 4,433 people, Waverly was Pike County's largest community in 2000. 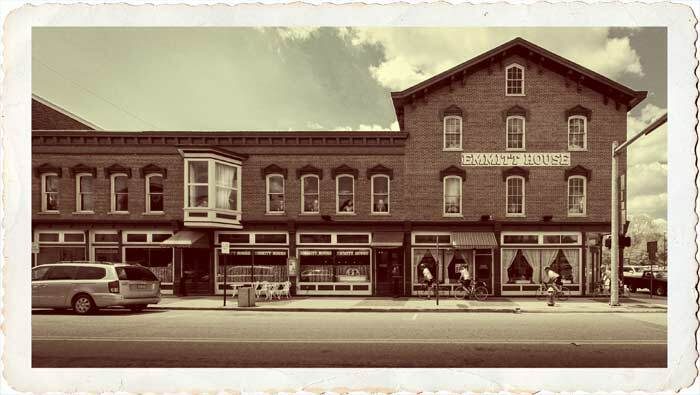 Most residents are employed in the town's 60 retail businesses or 40 health care and social service agencies. When the Emmitt House was finished, it quickly gained a reputation as one of the Scioto Valley's finest hotels. It was a center for the hardware & dry goods salesman, who would open their sample cases in a front room set aside as the "Drummer's Room." After the Waverly merchants had placed their orders, the drummers would then hire a horse & buggy and visit the rural storekeepers in Pike County. Around 9 p.m. on January 6, 2014, a fire broke out in the historic building. Despite valiant efforts of firefighters from both Pike and Ross counties, the building was almost completely destroyed. In 1863, a band of Confederate Calvary led by John Morgan, rampaged across Southern Ohio. On July 16, the raiders passed through Pike County, stealing horses, burning bridges and looting stores and farms along the way. On one particular road leading to Jasper, a group of men created a barricade of timber to slow down Morgan's advance. The men were captured, but it took Morgan 6 hours to get around the barricade. When searched, the confederates took whatever money the men had on them. One of those men was the local school teacher, Joseph McDougall. When it was discovered that McDougall only had 10 cents, McDougall said "It was 10 cents more than he wanted them to have." The confederates took offense at this, remark and separated McDougall from the rest. He was then placed in a canoe and set adrift in the Scioto. Confederate marksmen then shot him twice, killing him. McDougall's body was later recovered and buried in Jasper. Besides being one Waverly's leading businessmen and Pike County's first millionaire, James Emmitt was also a strong supporter of the American Anti-Slavery Society. A 30 year old Emmitt was partly responsible for bringing the Rev. Edward Weed to Waverly during the summer of 1836 to give some lectures in the new boom town on the perils of slavery. This visit by the Rev. Weed, almost led to a mob lynching of the Rev. Weed as well as Dr. William Blackstone where Weed was staying. Fortunately, Weed was secreted out of town and stayed in Piketon before the mod could harm him, even though they did shave all the hair off of his horse. James Emmitt died in 1893. Names: Union Town, Pee Pee Township, and Pike. Tradition has it than an Irishman whose initials were P.P., had cut those initials in the bark of a beech tree along a creek. That creek and the township became known as Pee Pee. Pike County and Piketon were both named after a War of 1812 general, Zebulon Montgomery Pike. Pike was an early government explorer of the Mississippi valley, and later discovered an especially high point in the Rocky Mountains that he called Pike's Peak. The celebrated Pike was killed in a battle in Canada in 1813 and thus was on the minds of the citizens of Union Town and Jefferson. The town of Jefferson changed its name to Piketon when the county was formed in 1815.